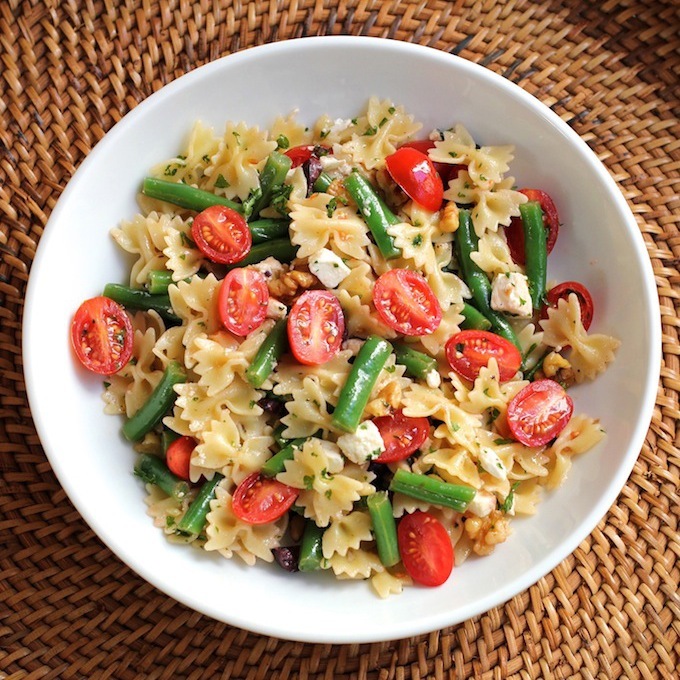 Pasta with green beans and cherry tomatoes – a quick and easy pasta dish with crunchy fresh green beans, sweet cherry tomatoes, olives, feta and walnuts – tossed with a lemony vinaigrette. I’m all about quick and easy pasta dishes especially now during the holiday season. With so much going on, it’s sometimes hard to find the time to make a proper meal. That’s where this pasta with green beans and cherry tomatoes comes in – it comes together quickly, it works well hot or cold and is packed with fresh green beans, sweet cherry tomatoes, crunchy walnuts, salty feta and olives. Tossed with a simple lemon vinaigrette, it has a fresh, mediterranean vibe. 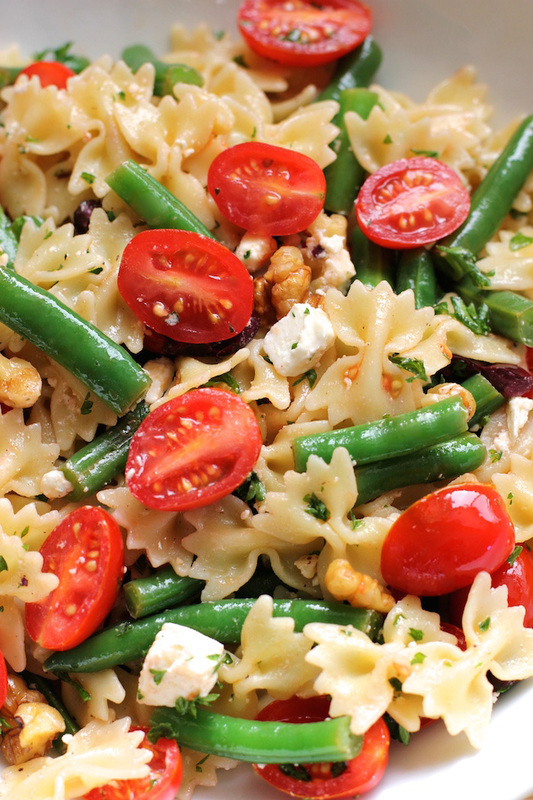 To help make this a speedy dish, the green beans are cooked with the pasta. 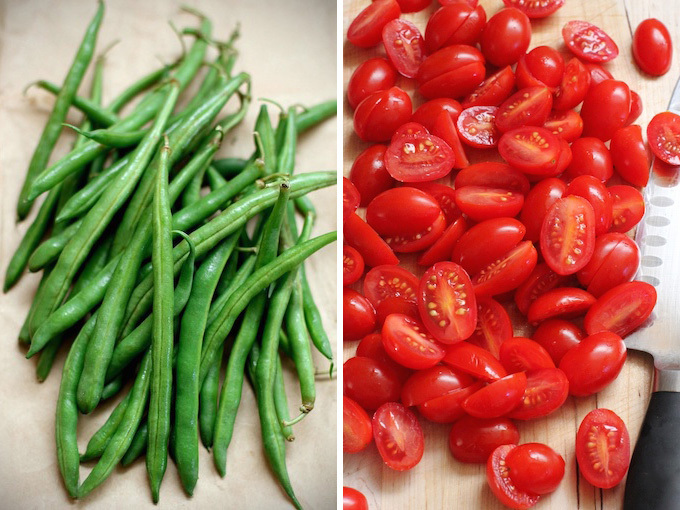 Green beans are great – so fresh, crunchy and, well, green. I think people tend to overcook them so they lose their bright color and become limp. But by added them into the pasta 3 minutes before the pasta is to be done, they retain some of their crunch and they remain a lovely bright green color. I used mini farfalle for this dish. You can switch out any type of pasta that you want – fusilli, penne or orzo would all work well. You’re going to be adding the green beans to the pasta as it cooks. So 3 minutes before the pasta is done, add in the green beans. This dish comes together really quickly so prep/dice/chop everything before you start cooking the pasta. This was really good cold – so make a little extra for lunch the next day. 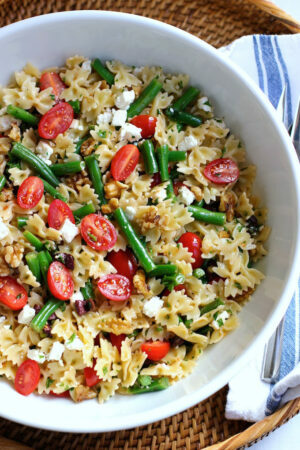 A quick and easy pasta dish with crunchy fresh green beans, sweet cherry tomatoes, olives, feta and walnuts – tossed with a lemony vinaigrette. 8 oz of pasta – about 2 cups dried pasta. I used mini farfalle. 2 cups of chopped green beans. Add green beans to cook with the pasta about 3 minutes before the pasta is done cooking. When the time is up, drain pasta and green beans. Add walnuts to cherry tomatoes in the bowl. Whisk together juice of 1/2 lemon, 2 tbs olive oil, 1 minced garlic clove and 6 twists of black pepper. Oh, this looks so delicious! I love fresh Mediterranean flavors like salty feta and zesty lemon. And great idea to add the green beans to the pasta as it cooks – you’re right that it’s so easy to overcook them. It’s nice to have quick and healthy recipes in your repertoire for busy times like the holiday season! Hi Julia – thanks so much – I’m such a feta fan – I put it in everything. Hope you have a great day – without too much rushing around this weekend. I love everything about this pasta dish! From the color to the feta! Delicious! Thanks, Annie! The bright green and red are very cheery this time of year – have a great day. This pasta looks so good! Love those colours, super vibrant! Bookmarking, thanks so much for sharing! These simple & easy meals are just what we all need at this time of year! Love those vibrant colours! Thanks so much, Alessandra – I agree about the colors. Have a good one. Hi Claudia – thanks so much! Yay for simple and easy! And also to not sacrificing flavor. Love this salad, looks perfect, fresh and healthy for the holidays. Hi Denise – thanks – easy and simple recipes is what I’m all about! Have a good one! Oh this is just gorgeous! My mom used to make a very similar pasta. Makes me want to have this one!!! Thanks so much, Sarah. Love that this reminded you of a meal your mom made! Have a great day. Thanks so much, Crystal – you always get my recipes :)! Have a great one! 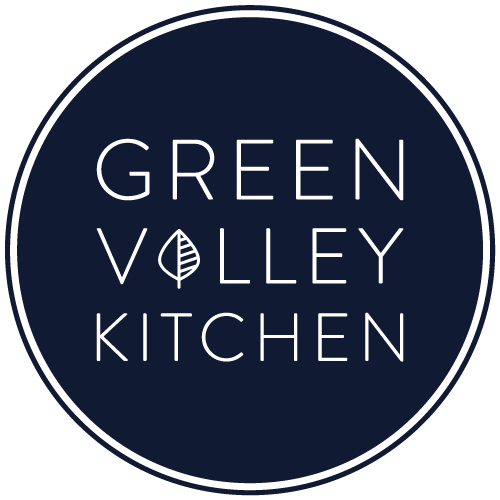 Love your tip about cooking the green beans with the pasta! Genius! Delicious recipe, Geraldine. Diggin that lemon dressing… so bright and refreshing. Your close up photos are absolutely beautiful! It’s like those tomatoes are right in front of me; so inspiring! Thank you for this delightful, beautiful recipe, Geraldine! Awww, Traci – you always leave the nicest comments – much appreciated!! Have a great night – I’m looking forward to seeing those cookies on Friday. Ahhhh! Those colors! So bright and vibrant – love it 🙂 This looks so good!! Thanks, Kaitlin. The red and green work particularly well for the holiday season :)! Have a good one.